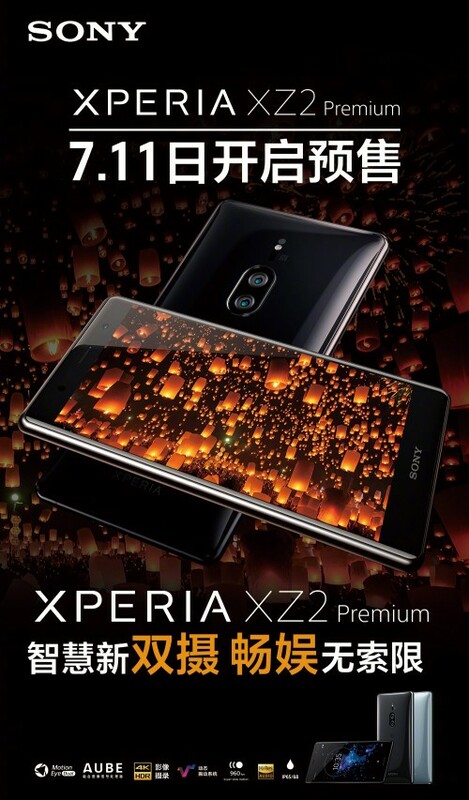 Sony will start taking pre-orders for the Xperia XZ2 Premium in China on July 11 and will hold a special announcement event for the flagship on July 22 in Guangzhou. We expected Sony to reveal the shipping date and exact price of the Xperia XZ2 Premium in China today but it just gave us the pre-order dates. Rumors give an estimate of around CNY 6,000/€780/$900 and it may start shipping on July 22, the day of its Chinese induction event. The Sony Xperia XZ2 Premium will go on sale in the US on July 9 through Amazon and BestBuy for $999 - a steep price only slightly dampened by the inclusion of a free pair of Xperia Ear Duo wireless headphones if you pre-order through Amazon. 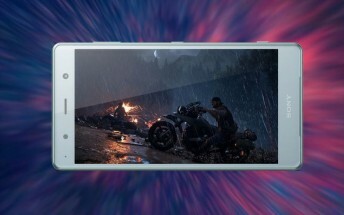 While heavyat 236g, the Xperia XZ2 Premium is Sony's best phone yet. It premieres a dual 19MP (f/1.8 25mm lens, 1/2.3" sensor, 1.22µm pixel size) + 12 MP B/W (f/1.6 lens, 1/2.3" sensor, 1.55µm pixel size) camera on the back and has a 5.8-inch 16:9 3840x2160px IPS LCD of ludicrous 760ppi density on the front.